Joy Crouch, development officer for planned giving at Hospice of the Red River Valley, has achieved the Certified Fundraising Executive (CFRE) designation through CFRE International. The CFRE designation is awarded to individuals who have displayed a mastery of his or her field by meeting requirements and standards set in philanthropy. The CFRE program requires individuals must have a least five years of paid, professional practice in fundraising, meet all of the minimum eligibility requirements, and pass a stringent written exam. CFRE International supports and encourages fundraising professionals to aspire to the highest standards of professional competence and ethical practice in serving the philanthropic sector. 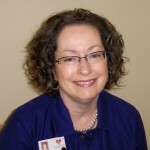 “Joy’s achievement of the CFRE designation is a testament to her commitment to Hospice of the Red River Valley’s generous donors and the communities we serve,” shares Jean Anderson, director of development and marketing at Hospice of the Red River Valley.